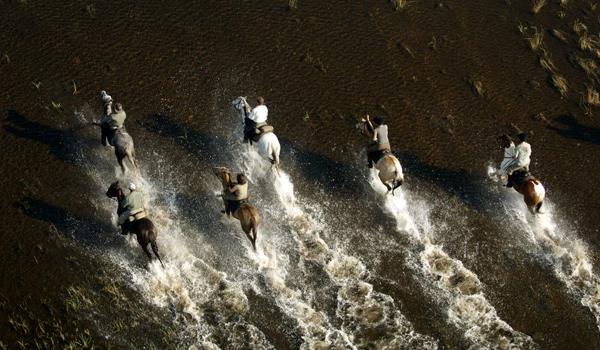 Next month, we're headed to Botswana, Africa to film two high definition episodes of Equitrekking. 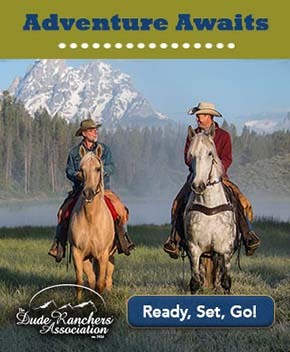 Learn about where we're going and our preparations! I'm so excited to visit a destination that's been on my bucket list for quite some time and to share it with all of you through the Equitrekking TV series - Botswana, Africa! We've been busy planning a trip that will take me and our Equitrekking crew to four different areas of the country to experience horse riding safaris, bush walks, game viewing by boat and jeep, local villages, crafts, culture and more. It promises to be one of our most exciting and surprising adventures. 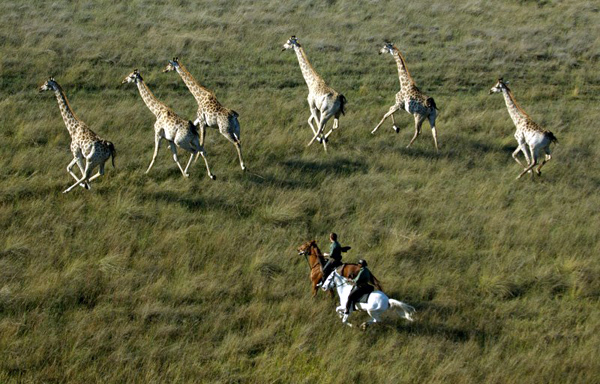 Riding with giraffes in Botswana's Okavango Delta. In each of our current 33 Equitrekking episodes, we focus on eco-friendly and cultural adventures with local people. 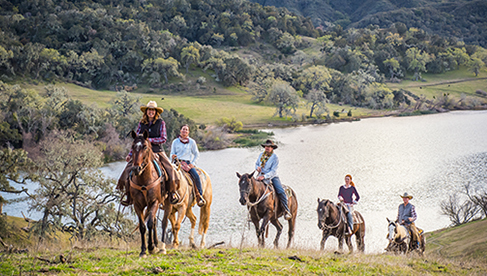 We also look to film in visually stunning, off the beaten path locales, riding horses to view wildlife in an unobtrusive way. There are many chances for this in Botswana. In addition to abundant wildlife, Botswana possesses some of Africa's largest wilderness areas, including many well-preserved and protected vast open spaces. The safari goer's dream of seeing the "Big Five" (lion, leopard, buffalo, elephant and black rhinoceros) is possible in Botswana. Hippos, zebras, antelopes, giraffes, wildebeest and a variety of reptiles, insects and spiders thrive in Botswana. I'll be hoping to stay away from the latter. For those of you who are wondering where Botswana is located, it's in Southern Africa. The country is landlocked and bordered by South Africa to the south and southeast, Namibia to the west and north, and Zimbabwe to the northeast and meets Zambia at a single point. We'll be flying in to four diverse areas of the country, including the Tuli, Makgadikgadi, Maun and Okavango Delta. We'll be traveling during Botswana's winter. I hear a fleece is definitely in order in the evening. I'm looking forward to an escape form the heat of Washington, DC's summer! Here are some things we hope to capture on film and bring home to you. 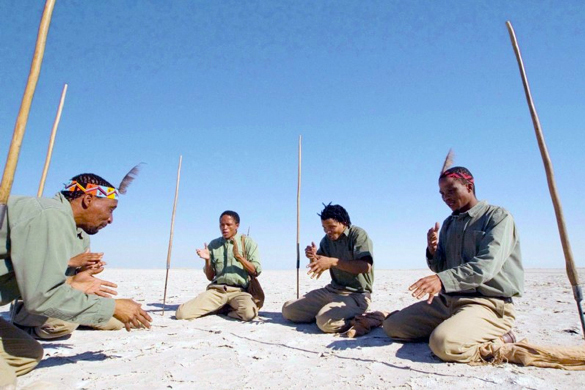 The safari town of Maun's local cultural village and a lodge where you can ride as a novice - Royal Tree Lodge. Makgadikgadi / Kalahari horse safari, meerkat interaction, sundowners on the pans and a Bushman walk with Ride Botswana at Camp Kalahari. 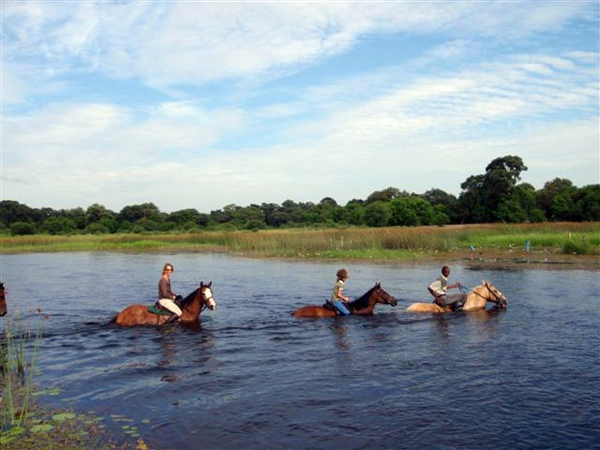 Okavango Delta game viewing on horseback, game drives, candlelit dinners, a tree house and walking safari activity. Since I used to climb trees as a child, I'm looking forward to that tree house when we ride with African Horseback Safaris. 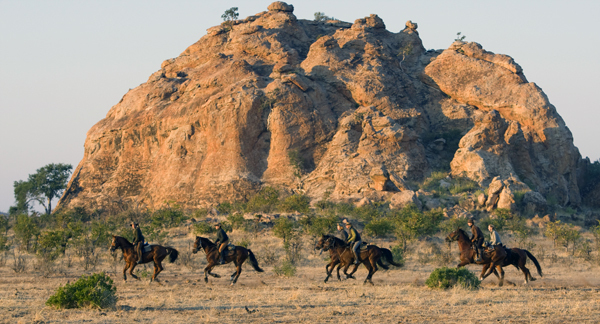 Tuli horse safari to find elephants and perhaps local village visit with Limpopo Valley Horse Safaris. Below are some photos that I've been sent by some of the safari outfitters with whom we'll be traveling, which have gotten me very excited. 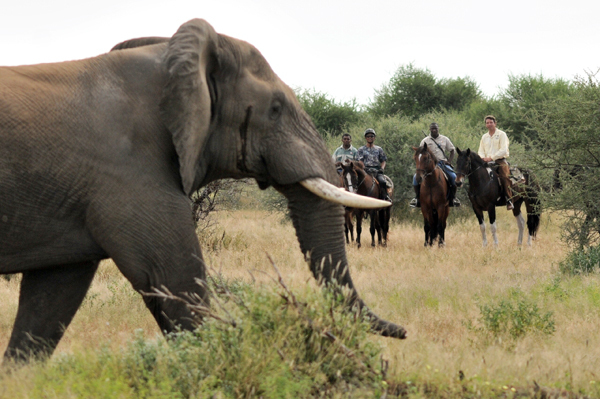 We'll be visiting Limpopo Valley Horse Safaris in the Mashatu Game Reserve in the Tuli Block of Southeastern Botswana, an area is known for its large elephant herds! The Okavango Delta, the largest inland delta in the world, is a destination where we can island hop through winding lagoons on horseback, searching for colorful birds, zebras, giraffes, buffalo and more. Wonder how we're going to film that? Stay tuned. This trip promises to get me very wet and then extremely dry! The Makgadikgadi Pans in Northeastern Botswana, the site of an ancient lakebed and one of the largest salt flats in the world, are home to meerkats, elusive brown hyenas, grand Balbub trees and a site for amazing night star gazing. We are visiting a destination that takes beginning riders, Royal Tree Lodge, located in the gateway safari town of Maun. Get ready for more blog posts related to where we're traveling, what I'm packing (weight restrictions on luggage, so I have to be picky) and how we're getting around and filming in one of the most wild and remote destinations we've encountered yet with Equitrekking! If you've been to Botswana or want to visit and have any tips for us or questions, comment below or join the discussion on Facebook or Twitter @darleynewman and @equitrekking. We like hearing from you!